Details: The project is coming up at Kumbhariya in Surat. 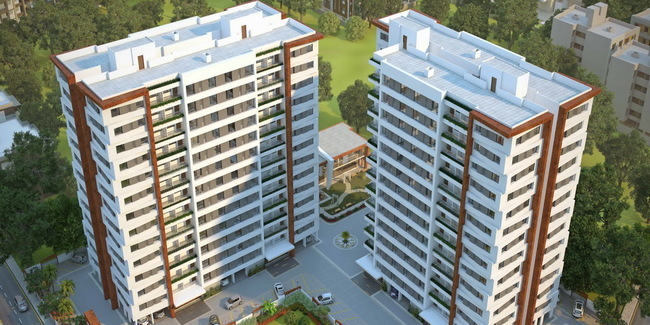 The project offers 2 towers with G+14 floors, having 3 BHK apartments. Apart from the basic amenities, the project offers club house, gymnasium, jogging track, CCTV camera, play ground, etc. T.P 35 F.P. no-4, Surat, Gujarat.